The very idea that someone wants to die is frightening. As a result, suicide is not an easy topic to discuss for many people. But talking about suicide does save lives. If one person can be saved from suicide by talking about it with someone, it is worth it; especially if that someone is you. 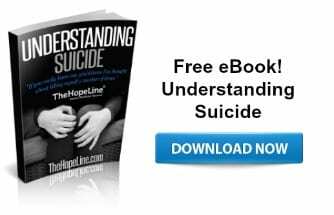 More than anything, I believe people who live with suicidal ideation feel hopeless. They are hurting so badly and want nothing more than for the pain to end. Unfortunately, they cannot imagine the pain ever going away. They cannot see the light at the end of the very dark and lonely tunnel they have found themselves traveling down. Have you ever felt this way? It is not uncommon for a person’s circumstances or their self-image to cause someone to think negatively about themselves. Often times, people consider suicide because they are unable to find any reason to make living worthwhile. They think their problems are unsolvable and they feel completely out of control. I believe first and foremost, hopelessness is a serious spiritual problem rooted in lies and faulty thinking. Anytime you believe lies about yourself, you are listening to the wrong voices. Jennifer said suicide has been a daily struggle for the past nine years due to being sexually abused. “I feel like suicide is the only option I have left, the only chance at peace I’ll ever have. It’s as if something will always be missing and life will never be quite right.” There is no denying that the pain of sexual abuse can be tremendous. But the abuse is not Jennifer’s fault. She needs to find the hope that she can overcome this pain. Many people just like Jennifer have overcome abuse through talking about it with a professional counselor. She needs to learn how to stop punishing herself for her abuser’s actions. Have you ever gone through something so painful you were convinced the pain was never going to go away? Many people who contemplate suicide say something like: I don’t want to die. I just want the pain to go away. They think, “Because I’m in intense pain today, I will always be in pain.” It is this kind of faulty thinking that can lead people down the path that leads to suicide. Kas wrote: I think about suicide pretty much every second of the day. It seems like it’s my only choice anymore. I know it’s not the answer, but at times I just feel like I can’t move on with this life anymore. If you are already living with suicidal ideation, it is important to remember that substance abuse only works to magnify these thoughts and behaviors. Alcohol makes depression worse, impairs thinking and judgment and increases impulsivity. There is no safety without sobriety. Additionally, coping skills like alcohol, drugs, self-harm, all fail – because they never address the actual root of the pain. They only serve to temporarily cover it up. Jordyn wrote: Some people have suicidal thoughts because they want to escape the isolation, pain, and rejection from the environment surrounding them. Others simply feel they have reached a state of loneliness and depression in their lives to the point where their thoughts become so negative, they can’t find any other reason to live. They would rather not confront it because of the fear of hurt that comes along with it.I feel that when you go through times of depression and think about committing suicide, God is there by your side. He will not abandon you. It is only a matter of whether you reach out to Him through prayer that you will be free from these thoughts. Thank you, Mandy, for bringing to light the very serious issue of depression. Depression is a real illness and needs real meaningful help. 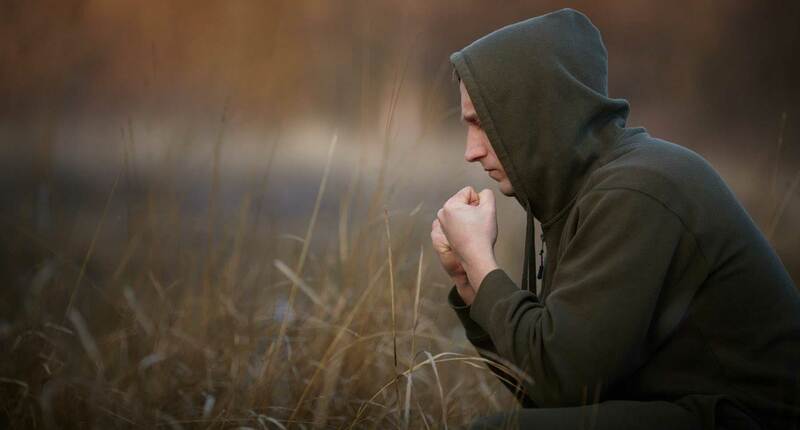 To learn more about depression, please read this guest blog from our partner, Centerstone. I am going to commit suicide today. I have been fighting depression almost all of my life. I have had no life at all. Just a lonely unloved existence. People say things change, but never ever have for me. I sometimes wonder if I am just an invisible spirit, and I don’t really exist? Nobody should have to live a life as mine. I have no friends to socialise with. Nobody ever calls me, or visits me. Even my family have no association with me. I have struggled to be strong and get through every day that I have to face. But every day is exactly the same as the previous one, just miserable. I suffer insomnia, so get no relief from my depression. But even so. The only time I feel not to bad is in bed. And I say bed is the next best place to dead! Well as bed is my only escape of hell, I want to make bed indefinite. Now I have immense financial difficulties to top off a life that was already hell. Well I just do not have the energy, or inclination to try to continue any longer. My heart breaks because I am leaving my dog behind. I just pray my family will take care of her. It isn’t like I have done anything to alienating myself from them. They simply just don’t care about me. And so I have finally concluded today is the day. I keep putting it back. But the bills keep coming, and it’s crushed me! Mark, You are valuable and worthy. Never give up! Your life is important…you are important. Fighting depression is not an easy thing to do without help. We want you to know that God loves you. He is close to the broken-hearted. “The Lord is close to the brokenhearted; he rescues those whose spirits are crushed. Psalm 34:18” He knows your pain, He knows you are hurting and he loves you, just the way you are. Please stay with us and try. How about chatting online with one of our HopeCoaches tonight at https://www.thehopeline.com/gethelp/ We also have some resources we can give you to help you with these thoughts. We have a partner that you can help you through this. We are emailing you with some information to help you so please check your email. If you need someone to talk to right now, call the National Suicide Prevention Lifeline at 1.800.273.8255 or chat online with them at https://suicidepreventionlifeline.org/chat/. You can reach the Crisis Text Line 24/7 by texting “START” to 741-741 too. I can’t remember the last time I have been happy for a sustainable period of time. Was sexually abused in fifth grade and carry the scared with me at 59. Now have job issues . Feel like a complete failure. Nothing interests me anymore. Feel like time is running out. Well I’m planning on killing myself I figured I would let someone know. Not that my life matters one Iota It won’t make a bit of difference if I off my self tonight I should kill myself and why not I’m 31 alone never had a girlfriend never had a job I did just get my license but it’s now too late to try and live life.i just want this to be over my life just keeps getting worse and worse. I’m never going to feel normal or be normal. I should be killed. Michael, Please never give up! Your life matters and it will make a difference. There is so much in your future that will bring you happiness that you will never know about if you give up. This challenging place is temporary. You mentioned getting your license…that is great! It’s not too late to get out there. Take it one day at a time. Try something new each day, go somewhere you’ve never been to before. Challenge yourself every day to live the way you are supposed to live. Don’t compare yourself to others. You are normal. Love yourself and your uniqueness. You have an incredible amount to offer this world that no one else can. We have some resources we can give you to help you with these thoughts. We have a partner that you can help you through this. We are emailing you with some information to help you so please check your email. If you need someone to talk to right now, call the National Suicide Prevention Lifeline at 1.800.273.8255 or chat online with them at https://suicidepreventionlifeline.org/chat/. You can reach the Crisis Text Line 24/7 by texting “START” to 741-741 too. You don’t know me, obviously, but I saw your writing and I just want to let you know how much pain my son, and I, are in today. We picked up my husband’s urn today and brought it to be interred with his father’s cremains. He commited suicide in May of last year. We miss him so much. The pain in our hearts is earth shattering. He believed falsely, that he was a burden, and that no one could love him. If he only knew how much he meant to us. We posted on his Facebook page, pictures of his urn, and his resting place in the ground. There were so many comments, and expressions of love and sympathy from so many people who knew him. He was well liked by so many, he had no t a clue. Please consider the gift of life. You live for no one else but you. If you choose to die, then it becomes about those left behind. We love you, and you deserve to live . Wow! Some pep talk these people are giving you, huh? It’s like they never bothered to read what you wrote. PEOPLE!! HE SAID, “31 AND NEVER HAD A GIRLFRIEND!” And you sweet, caring people glance over that horrific sentence like it was NOTHING! Shame on you! Sir, I get it. My 20s were a lonely horror show. Sprinkled with the occasional girlfriend relationship that would last 2 or 3 months, then back to the horror show for a few years. What makes it worse is you might go to church looking for comfort- some ray of hope. You might ask a preacher what the Bible says for advice for the rejected man. You know what it says? “Be married.” I know, right? Lot of good that is!!! There is no comfort or advice from the church for the rejected man. I wish I had better news. Scrounge a few dollars and play the lottery. If you don’t have LOOKS, or STATUS, the only thing left that women are interested in is MONEY. I truly wish you well, Brother. I’m living in the same Hell. Only I’m 46 and I’m a janitor. Unfortunately, most people really don’t understand any of these things. I just got out of a seven-day stay in the hospital for having suicidal thoughts, a plan, and intent, my note written, and rehearsals. My relationship with my best friend was strained because of my depression before my hospitalization (I am 17). I lost two friends to suicide in one week in September, and it acted as a trigger for my own suicidal behavior. The first thing my best friend told me the day I got home was that I am selfish and asking too much of her for wanting her to still be here for me and that I am taking advantage of everyone around me. I don’t know what to believe anymore. I know I’m hurting those around me- that’s the point of dying. I can take that away from everyone. People keep telling me I’m selfish, but then others keep telling me that I shouldn’t listen to the negative comments, and I am really confused. Does anyone have any advice? The same is the problem with me. I have never made anyone happy like that. I do get attached to people very easily but when due to some or the other reason i have to walk away from some people, they blame me for each and everything buti really dont think it is my fault. The idea of suicide is very stupid. No Matter how the people treat you or what they think about you, you should keep living your life. One should have faith in God only. God is the one who created us. How can we people have right to end our lives because of the people and problems around us. Just pray to god for each and everything. He will give u a way. Have faith in god.